In 1985, a hammer blow from Florida put the first cracks in the foundation of a centuries-old brick and mortar hegemony that has since crumbled entirely. Home Shopping Network allowed people to shop while they were watching TV, and just like that, commerce had suddenly become entertainment! All you needed was a television, a telephone, and an overwhelming desire to own cheap jewelry, hand-knitted “theme” sweaters, 400-in-1 kitchen gadgets, celebrity-endorsed fragrances, supposedly rare baseball cards, soda-making machines, hermit crab colonies–the list went on forever. If you sat there long enough, just about anything you could think of would come parading into view, its wondrous merits detailed in breathless hyperbole by one of the HSN hosts. 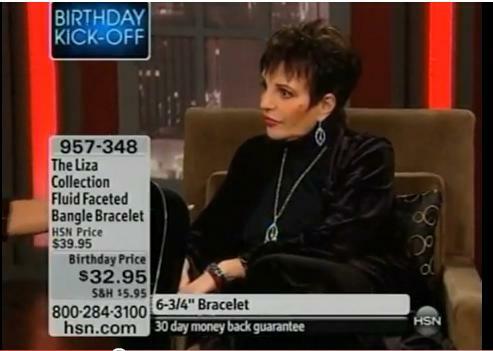 Home Shopping Network also wreaked havoc on a little thing called the MSRP, or Manufacturer’s Suggested Retail Price. Before HSN, if you wanted to purchase something like an officially-licensed The Golden Girls Christmas Tree Ornament set, you went to F.W. Woolworth or your local equivalent, paid $9.99 for it and went home. On HSN, that same item was now “worth” $79.99, marked down 70% (for the next hour only!) so the final cost to you had now ballooned to $23.99. Plus shipping. A terrible deal when compared to the old way, but it seemed like a good deal so legions of HSN viewers burned up the phone lines as if the Hindenburg had just brushed up against them. FUN FACT: Home Shopping Network is based in St. Petersburg, Florida and they have always fostered a friendly rivalry with the Church of Scientology, which is based just up the road in neighboring Clearwater. Every year in February the two corporations deploy their warships out onto Tampa Bay to battle for the rights to the Thetan Cup, a beautiful sterling silver trophy that was designed and smithed by L. Ron Hubbard himself. This is not a reenactment or field exercise but an actual naval engagement using real ordnance and participants on both sides do perish every year, but all the money raised from ticket receipts and sales of replica Thetan Cups sold on HSN goes to charity, so it is most certainly worth it.